Stonewall Gazette: Music Buzz: Lady Gaga 'unstable', Buju arrested,Top Albums of the Decade, Hallyday in coma and more! Music Buzz: Lady Gaga 'unstable', Buju arrested,Top Albums of the Decade, Hallyday in coma and more! Rock music returned to the forefront in the 2000s, as shown by the host of rock bands landing in the magazine's album Top 10, including Canadian ensemble Arcade Fire. However, it shared the limelight with hip hop, with rappers like Jay-Z, Eminem and M.I.A. scoring highly. Arcade Fire's 2007 album Neon Bible also made the cut for the Top 100 (landing at No. 75), while other Canadians on the list include the New Pornographers, for the 2003 album Electric Version (No. 79), and Leonard Cohen, whose 2001 album Ten New Songs squeezed into the No. 100 slot. 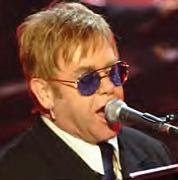 Some of the same artists figured into Rolling Stone's run-down of best songs, with each of the Top 10 representing widely appealing chart-toppers that rose above their respective genres to capture the attention of the general public. 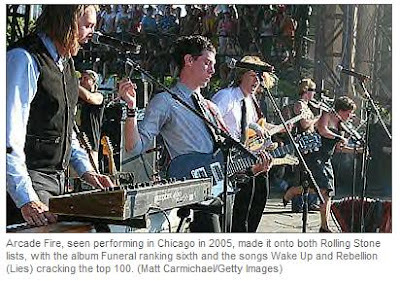 Once again, Montreal-based Arcade Fire offered a Canadian component to the tally, with the band's tunes Wake Up and Rebellion (Lies) charting at No. 42 and No. 75, respectively. A full list of the 100 top albums and songs is available on the Rolling Stone website.